You can think of it as a short-term memory for your applications. The first scenario illustrates the classic deployment strategy, however you'll find that it's both wasteful in the sense that the total cache size is a fraction of the actual capacity of your web farm, but also in the amount of effort required to keep the cache consistent across all of those nodes. The illustration to the right only shows two web servers for simplicity, but the property remains the same as the number increases. If you had fifty web servers, you'd still have a usable cache size of 64MB in the first example, but in the second, you'd have 3.2GB of usable cache. Of course, you aren't required to use your web server's memory for cache. 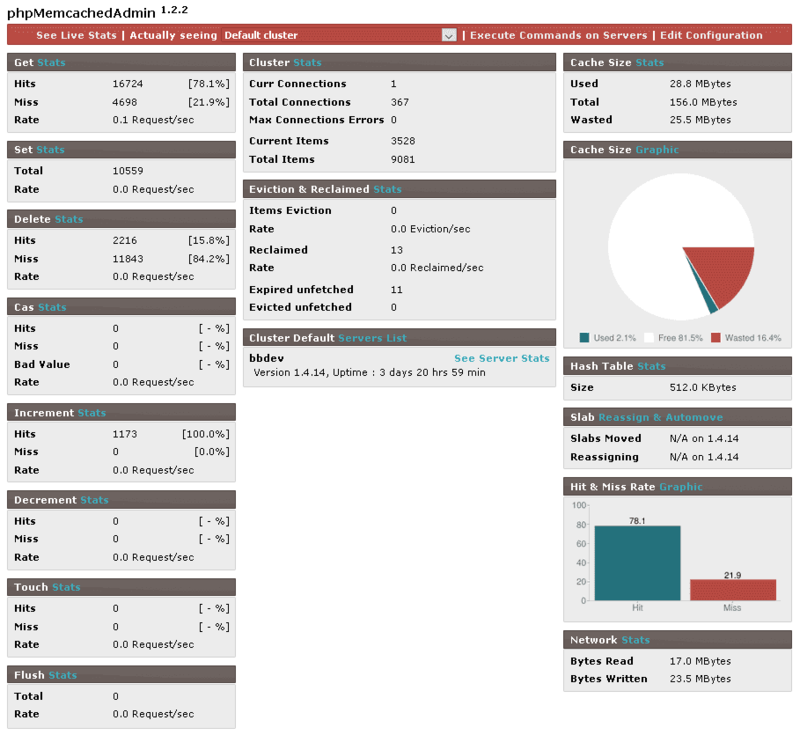 Many memcached users have dedicated machines that are built to only be memcached servers. Install the PECL memcached extension. Install the Batcache Manager plugin. Install the Memcached Redux plugin. Install phpMemcachedAdmin from its google code page. You can go further to see each server slabs, occupation, memory wasted and items (key & value). To extract these informations, phpMemcacheAdmin uses, as you wish, direct communication with server, PECL Memcache or PECL Memcached API. 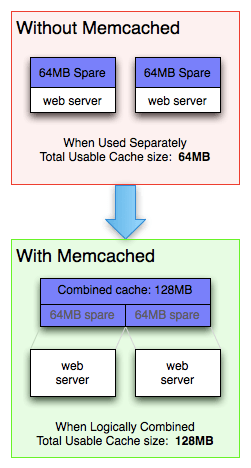 Stay tuned for my next memcache article. It will consist entirely of practical uses or memcache and how to best utilize the power of this amazing tool for WordPress. Much of my initial learning and experience with this comes from my background working for WordPress VIP.